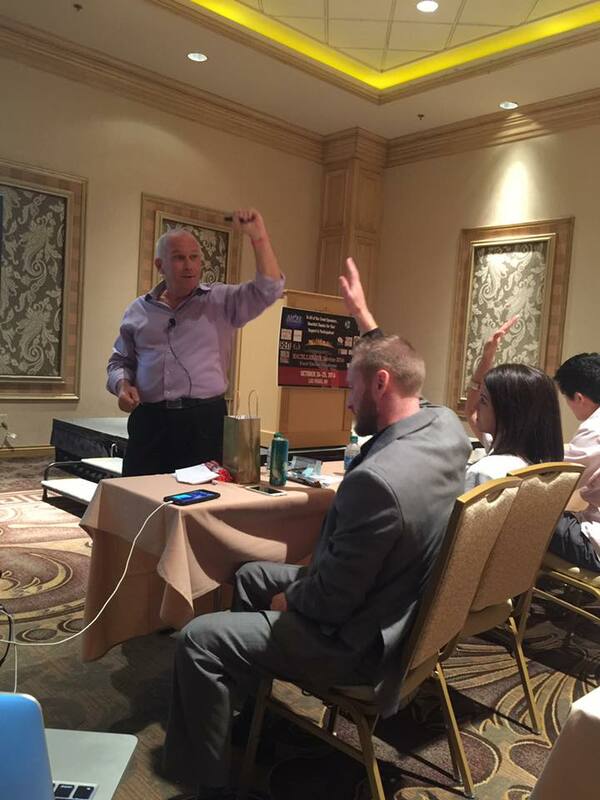 Bill delivers memorable presentations that are warm and uplifting, yet equally practical. Expect your audience to be soothed with compelling stories intertwined with insights and techniques that spark instant inner transformation. Beyond motivation, Bill helps your audience discover their Divinity within, a source of power, clarity and inspiration beyond any other. Bill closes this open loop by providing specific direction on how to use their Divinity to overcome personal road blocks and enrich their own lives and the lives of others. Heinrich will help your audience increase their happiness and productivityby helping them understand their true life purpose. His compassionate yetpragmatic approach to resolve commonplace problems is the solution youneed to turn them around and thrive.From running on the treadmill of lifeto feeling overworked and unfulfilled,his ability to get people out of theirown way so they can thrive is nothingless than life changing. As aseasoned business executive andglobal entrepreneur, his signatureprogram called “True Life PurposeNow” is so effective that he actuallyguarantees the results.He is a powerful speaker with a humorous yet practical approach thathelps individuals open up to a whole new world of authenticity so they canreach a higher professional level and standard. Audiences feel empoweredto excel and claim themselves as the spiritual beings that they are,eradicate what is holding them back, and accelerate their personaltransformation that allows for their biggest breakthroughs in the workplace and life. I was amazed at the way bill help me tap into my unique divine gifts. His gift, his genius is in helping others discover how to shift their energy in a matter of seconds so that they can move forward with great confidence. Bill Has a way to very complex concepts and explain them in exquisitely simple terms. What could be more complex than finding your life purpose! Like, no other, he speaks from his heart in a way connects deeply with his audience. In this enlightening speech Bill teaches the audience how to find and follow the most accurate and true path in life, energy. We all get distracted by all of the activities in life and it becomes really easy to get off track. When you follow the guidelines that Bill delivers in this transformative speech you will know how to find your path to success. We each have a survival mindset and it continually blocks us from the most important things in life, authentic and loving connections with others. A life of survival is fixed on our basic needs and acquiring more of anything. We all suffer from this perspective because we need to survive! We must have food, water, clothing and shelter. It is the basic focus of most of our lives and it leads us astray, away from our true life purpose. Thriving allows yo to have it all! Thriving gives you access to the most powerful resources available to us on earth and yet very few people are aware of the resources. And they are free! How I sold a house while it was on fire! Yes! It’s true! A fascinating story about one of my experiences in real estate. I literally found the fire when I was showing the client the home and I called the fire department. They bought the home while the fire department was there fighting the fire! Everything that happened was a result of the same powerful teachings your receive in my talk. You too will be able to sell a house while it on fire! This is one of my favorite talks because it is an area that everyone is familiar with in their daily lives. When people see how they approach life with their current beliefs and perceptions, they are shocked! A simple topic that is crowd favorite because it results in immediate improvements in everyone’s life. The information is irrefutable and everyone in the audience has experienced the negative effects of their misperceptions. Discover Authentic Self Expression, Live a self-actualized life! We all have dreams that go unfulfilled because we are caught up in the day-in, day-out routine of life. We seek success and greater rewards and we end missing out on the grand prize- living with Authentic Self-Expression. There is nothing more mis-understood and than authentic self-expression because we are focused on the wrong guide posts. When you understand how to access you Authentic Self-Expression and you experience you authentic self, there is nothing, absolutely nothing in the world more satisfying! The 92% Success Factor - How to guarantee success! Everyone would like to succeed at a higher level, it is human nature. There is an easy path to success, a very simple path. Tap into your potential and allow your potential to manifest your success. Bill Heinrich is a human potential expert and meta physician with a very deep knowledge and awareness of the non-physical. If you want to achieve at extra-ordinary levels, learning to access your potential will deliver miraculous results! Discover the hidden resources that can double, triple and even 10X your income and revenue!